After breakfast, transfer to the airport, taking wonderful memories with you. Enjoy the festive feason and visit the Christmas markets on this 19 day Christmas Wonderland cruise with Paris. Visit Cologne, Würzburg and Regensburg. 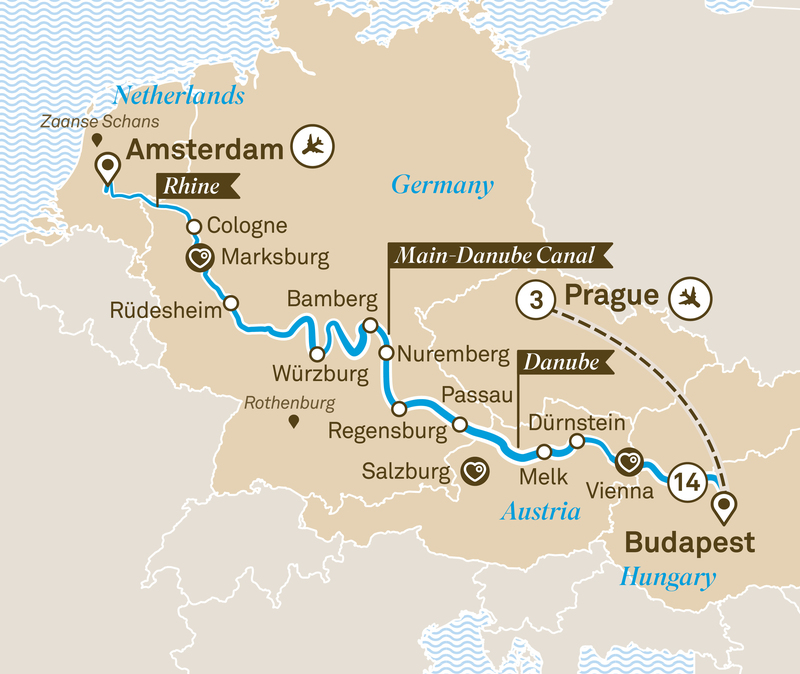 From Amsterdam to Berlin via Budapest, cruise the Rhine and Danube rivers and visit the magnificent cities of Cologne, Vienna and Prague along the way.